And secure online HIPAA compliant forms. "I highly recommend MedForward. They have been pleasant to work with and did an excellent job optimizing my website for search engines. My website brings in new patients and has paid for itself. With the tools that Medforward provides my staff, they are easily able to keep it up to date." Narrator: When you work with MedForward, the professionalism of your practice will be communicated through your website. You will have an excellent website design and a superior online marketing strategy. Your website will contain the latest design and coding methods, be supported across all browsers and device types including smartphones, and become fully integrated with social media. We’ll help you build your practice with a comprehensive marketing strategy. We work closely with you to implement the latest design methods, helping your site rank as high as possible on Google, Yahoo and Bing. MedForward is exclusively medical. 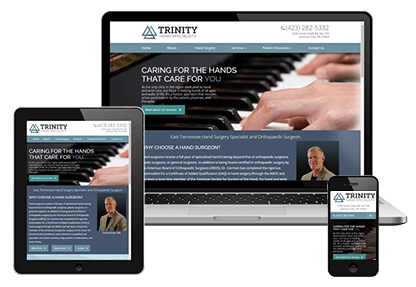 We can help you write, draft and revise your website content so that your website will fall into place and get to work immediately to start bringing in new patients. The work we produce is highly professional. Our team is responsive to your requests, offering rapid turn around time. Our customers are extremely important to us. You’ll benefit from a knowledgeable team featuring highly educated, award winning and experienced experts. We’re dedicated to your success and have been offering dependable service since 2007. We can help you promote your practice with additional online channels including email, social media, news blasts and online advertising. You can easily update your content yourself, preview the changes and publish them with our content management system or send them to us, preview them and we’ll update it for you. If you choose to update them yourself, you’ll have an easy to use, online interface. We’ll teach your staff how to use it. You will benefit from working with a responsive, knowledgeable, dedicated team. You’ll have a custom website that works on all devices. We offer a full range of services including design, development, search engine optimization, online advertising and other powerful tools (e-commerce, webmaster management) to help your website succeed. 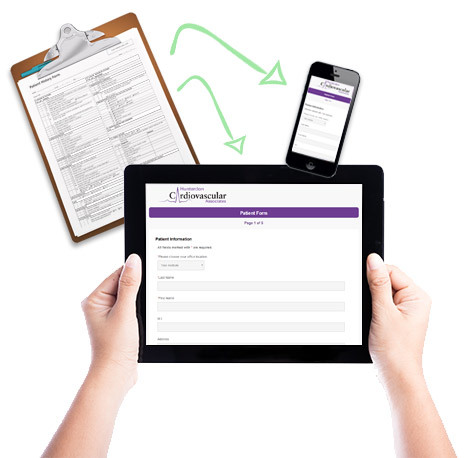 Convert your forms to an online format that lets patients fill out registration forms before their visit. Eliminate errors caused by messy handwriting. designs that adapt to all device types. We have been focused on providing websites, online marketing services, and secure online forms for health care providers since 2007. We are trusted by hundreds of physicians across the United States. Let us improve your online patient experience and grow your online presence with HIPAA compliant forms website tools, e-mail blasts, pay-per-click advertising, social media management, and SEO. Accept forms electronically on your website. Fully HIPAA compliant and secure. Affordable and effective. Easy set-up.